Do you feel dizzy, weak, or a little depressed from time to time, whereas your doctor says that you are in a good health? Well, what if we tell you that the reason for that may lie in the quality of the indoor air (temperature and humidity)? Without a doubt, with temperature, everything is as clear as day, but indoor humidity is often overlooked. So let’s find out how humidity influences our health. 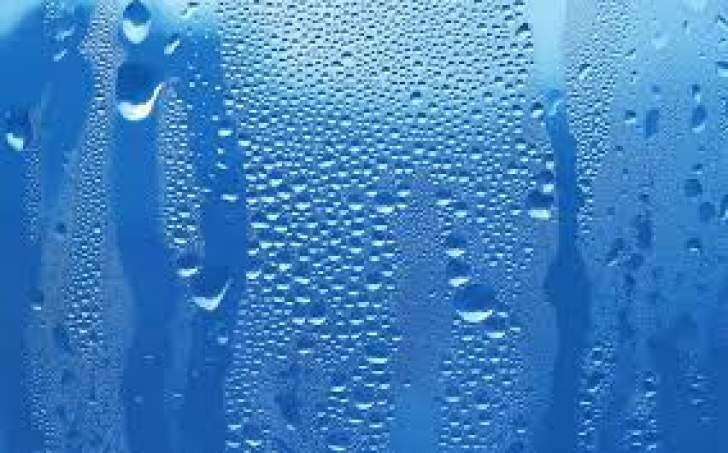 As most of us know, humidity is the amount of water vapor in the air. The most comfortable humidity level in the room is about 40 to 60% with the temperature around 18 °C to 21°C. The variations from these norms often cause some health issues. Obviously, in winter the air is dryer than during warm months, and heaters, in combination with cold temperatures, make it even dryer. Low humidity may result in the drying out of mucous membrane of your respiratory tract, sinus irritation, and nasal congestion. According to one study, some flu viruses spread more easily and survive longer when humidity is very low. This increases your chances of getting an infection. Did you know that living in low humidity environment for a long time may cause dry and irritated skin, itching, and eczema? Such skin condition is also known as “winter itching”. Small cracks and skin flaking are also a good example of the low humidity impact. You may also suffer from increased evaporation of tears because of the disrupted moisture balance. Humidity higher than 70% is not healthy for you either because too vaporized environment is breeding ground for mold, other hazardous fungus, and bacteria. Unfortunately, it is just a matter of time when living in close vicinity to mold will cause a chronic respiratory infection such as chronic obstructive lung disease. On the back of respiratory problems, mold causes a lot of other problems, for example, gastrointestinal problems, skin rashes, immunosuppression, and even hemorrhage. Today, far too many people suffer from chronic ailments caused by very low or high humidity. And since neither they nor their physicians are aware of the problem, the treatment is often fruitless. Obviously, improving the air quality and getting rid of mold will definitely contribute to a problem solving. So what can you do? The first and foremost is to determine the humidity level in the room and find out whether you need to increase or reduce it. You can play your hunches and try to predict it or use an indoor humidity meter that will give you accurate information about the temperature and humidity. The latter option is more reliable though. Once you know the condition of air for sure, you can start to take measures. If the humidity is lower than 35%, you can increase it by doing the wet cleaning. But you will have to do this at least twice a day to get the desired effect. You can also use a humidifier with humidistat. It will moisturize the air leaving no need for you to wet clean the room so often. In case the air is too moisturized like in the bathroom, for example, you can open the window after taking a shower or having a bath for a few minutes. If there is no window in the room, you can use a dehumidifier. This device dries air instead of moisturizing it.